Carly Jo is my youngest. With every child there is a new and different challenge. With Carly Jo it’s food allergies. Before she was even one we discovered that she was allergic to blueberries. This made me wake up and pay attention more what I feed her. One of my favorite things to feed her is Peter Rabbit Organics. We make delicious, organic fruit snacks and veggie blends. Our fruit pouches are loved by all ages, and our veggie blends are gulped down by hungry little ones. We use the squeezy pouches to make eating healthy food easy and fun. The thing I love most about Peter Rabbits (well outside of the fact that it’s organic and healthy!) is that it comes in a nice convenient packaging. 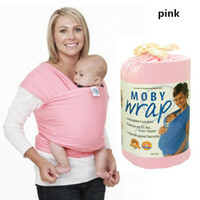 It makes it easy to carry around in the diaper bag. This way Carly Jo can have a healthy snack while we are at my sons and/or husbands games. It’s a lot better than anything that I could have bought at the concession stand! It was something that she could eat easily and something that she enjoyed really eating! The whole time Carly Jo was eating her Peter Rabbits Organics the only thing she would say was NUM NUM. With Peter Rabbit Organics I know she is eating something that is safe, good, healthy, and something she WANTS to eat.